A perfect match of rounded vanilla and sweet cinnamon; malty, smooth and chocolaty; a dessert in itself! 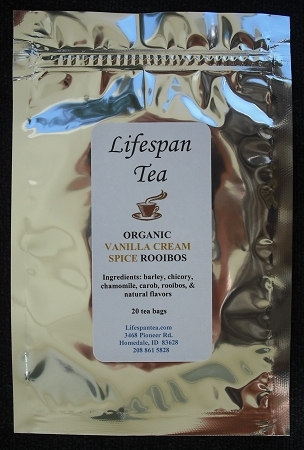 Ingredients: Barley, cinnamon, chicory, chamomile, carob, rooibos and natural flavor. Organic & caffeine free.